Is This What Passes For Transparency In The Sussex GOP? 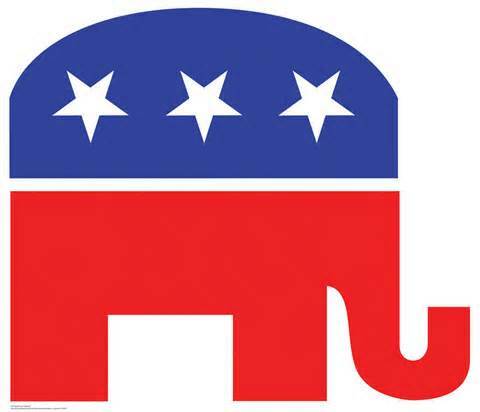 I have been criticized for being critical of my fellow Republicans, especially the Sussex GOP Executive Committee, in particularly the newly elected version of the old problem. I have to say I had hoped that this new version of the old problem would simply be quietly ineffectual, much in the same manner as its predecessor. Unfortunately that does not seem to be the case. The new administration, under the “leadership” of newly elected Chairman Vince Calabro, seems to be hell-bent on moving quickly to do as they damned well please. And if that means playing fast and loose with their own rules, and the rules of the party in general, well so be it. But the latest demonstration of arrogance, and let us remember that Mr. Calabro has only been Chairman for a little over one month, and has only chaired one meeting, may take the Sussex GOP from merely arrogant and radical, to the point of possibly being criminal. Here is an announcement for an upcoming event being sponsored and promoted by the Sussex GOP. This is the first act of Chairman Calabro. As we enter into the year 2015-2016 election cycles, it is critical that we do everything in our power to raise funds to support candidates who will reflect our views and values. In order to help these candidates of substance get elected, we need resources to subsidize effective campaigns. In an effort to accomplish this goal in an atmosphere of camaraderie and teamwork, I propose to hold a series of events where we can all get together and spend a few hours conversing, socializing and dining. We can share ideas and discuss our goals in a relaxed venue. I invite you to join us for the first in what we hope to be a regularly held event. To encourage participation we have kept the ticket price to a nominal amount. I look forward to seeing you on Saturday,February 28, 2015. SOUVENIER JOURNAL AD CONTRACT First State Unity Dinner Immediate Past Chairman of SCREC -Honoring- John Rieley Saturday February 28, 2015 6:00 pm – 10:00 pm Marvel Carriage Museum/Georgetown Historical Society 510 South Bedford Street, Georgetown, Delaware 19947 Rates Outside Back Cover – $100.00 Inside Back Cover – $75.00 Gold Page – $50.00 Silver Page – $35.00 Full Page – $25.00 Half Page – $15.00 Booster – $10.00 I agree to take a ________page space in the above referenced journal and to pay the sum of $________ Date:_____________________________________ Name:____________________________________ Phone:____________________________________ Solicited By:________________________________ **Please attach business card or ad copy to bill** **Please make checks payable to “Western Sussex Republican Club” Okay, there is so much here that I want to talk about, I will get to the potentially criminal shortly. Let’s first look at this statement. “As we enter into the year 2015-2016 election cycles, it is critical that we do everything in our power to raise funds to support candidates who will reflect our views and values. In order to help these candidates of substance get elected, we need resources to subsidize effective campaigns.” Okay, first of all, whose values? Vince Calabro’s? Sussex GOP’s? Mine? Yours? That is a very broad statement. And who gets to decide how these “funds” that get raised will be distributed? Stayed tuned, this is part of the criminal issue later. So how will they raise all of these resources? Well by holding regular events, like their first one to honor past Chairman John Rieley, and to make sure of participation they are only charging $15. Well how they will serve dinner for $15 and still raise funds is one question. What Mr. Rieley did in his time as Chairman that deserves honoring is open to debate. But we can let that slide since the real problem with this event is in this part of the announcement. Now, if anyone can tell me exactly who or what the “Western Sussex Republican Club” is, or who is running it, who is its treasurer, who its president is, I would be very grateful. Because in searching the Delaware Department of Elections I have been unable to find any such political club or PAC under that name. But this goes further, the question has been asked of Mr. Calabro, why is it necessary for the Sussex GOP to have checks made out to a third-party for an event that the Sussex GOP is sponsoring and promoting on its own website? Why are the payments not simply being made directly to the Sussex GOP? And the answer, according to confidential sources, was that he, Mr. Calabro, had to move fast to get things rolling, he, Mr. Calabro didn’t have time to go through the process of following the rules of the Sussex GOP. Well it would seem as though he either doesn’t have the time, or the inclination to follow campaign finance rules either. Any political organization has ten days to file its letter of organization after an announcement of intent. And since I, nor others who have researched the “Western Sussex Republican Club” have been able to locate this so-called club in the state data base, and since this event was announced well over ten days ago, it would seem that Mr. Calabro, and his administration may be in violation of campaign finance laws. I have it on a reliable source that this issue came up during the Executive Committee’s Advisory Board meeting prior to the monthly meeting, and that there was a heated discussion, but no answer to the question of who this club is, or why it was needed to have the checks made out to the club, instead of the Sussex GOP directly, beyond, “you just don’t understand”. But this possible corruption goes beyond just the Executive Committee, because the EC is attempting to solicit other Republican organizations and clubs, you know legitimate organizations and clubs, ones that have done due process and filed the paperwork, to be a part of this possibly criminal act by asking them to buy ad space in the program for the event, and to make the checks payable, that’s right, to the WSRC, whatever that may be. I again have it from a reliable source that when Mr. Calabro personally solicited a donation from one of these reputable organizations, and was asked what the WSRC was and what guarantees there were on how the money would be used, they too were told that he did not have time to follow the rules, and gave no explanation of who or what the WSRC is. Mr. Calabro in running for Chairman bragged much about his years of political service in the New York area, well if this is the New York style of politics that Mr. Calabro has brought to Sussex, I am not sure we want, nor need it. We hillbillies down here in Slower Lower may not understand New York style politics, but for the most part we do understand campaign finance laws. And one final thing, Lacey Lafferty who thinks she is running for governor of Delaware in 2016 is also promoting this event and the WSRC on her Facebook page. Now I know that Ms. Lafferty lives in the Laurel area, and that is considered western Sussex, and Mr. Calabro is very involved in Lacey Lafferty, so should the question be asked also, is the WSRC simply a front to raise money for Lacey Lafferty, since according to her latest filing she raised a big fat $0.00 and spent something like $26,000.00 of her own money. I would encourage anyone who is considering to support this event to ask the hard questions, and if you get no answers, put your money back in your pocket and give it to a legitimate organization, and not the Sussex GOP, or some phony store front slush fund for a wanna-be candidate. 11 Comments on "Is This What Passes For Transparency In The Sussex GOP?" The first annual Western Sussex Republican Club Lincoln Day dinner will be Monday, Feb. 12, 6 p.m. at RJ Riverside restaurant, Laurel. US Rep. Mike Castle will speak and Georgetown attorney Karl Haller, who impersonates Abraham Lincoln, will discuss Sussex County’s role in the Civil War. Cost is $15 per person. Checks, payable to Western Sussex Republican Club, may be sent to P.O. Box 98, Bethel, DE 19931. For details, call Donald Dykes at 877-5000. 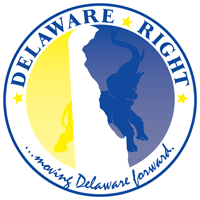 Click on Politics1.com for real political information on Delaware candidates. Click on Delaware Governor candidates. Enough said on this rat hole. you’re probably on the right track since the RSVP phone numbers are the current SC GOP EC Chairpersons and the 40th 2nd ED wanna be governor candidate. A simple google search of the phone number provided these tidbits. Something to consider before writing this check. Anyone interested in a festive evening with Italian and American cuisine contact Chef Calabro at 631-897-1738. Lacey Lafferty for Governor 2016’s photo. Anyone interested in going contact Contact Vince Calabro at 631-897-1738. Varooom!!!!!!!!!!!!! I am hitting on all eight cylinders!!!!!!!!!!!! Lacey Lafferty’s photo. **Please make checks payable to “Western Sussex Republican Club”. Please RSVP by Friday, February 20, 2015. Call (631) 897-1738 and/or (302) 841-8716. Gerald seems to be saying that if some site only list one candidate, then that must be “THE” candidate. We know there is at least one other Republican running for governor. So how can the chairman of the Sussex GOP be campaigning for Lacey? the chairman is the wannabe candidate’s campaign treasurer. I think this is a perfect example of transparency. It is a campaign fund raiser for Lafferty in all but name. Of course there are those who might not be able to glean the intent and contribute, but as P.T. Barnum noted, there is sucker born every minute. If they are fooled once, perhaps they will be more discerning in the future. A teachable moment so to speak. The supporters of Lafferty however are another issue. Lafferty is not electable. In their heart of hearts they must know that. Yet instead of building for the future, they choose to shoot their wad on the futile effort that gains nothing. Instead it costs them credibility. had to leave because you have to be so negative. At least, they are doing something. You are still just complaining. Maybe you’ll stay home next month so the positive people can all stay. Hey knutbunny, so you are good with fraud and corruption? Is that what you call “doing something”? And if I am so irrelevant, why would the cowards have to hide in executive session. What were they talking about anyway? Other ways to funnel money through the GOP into a failure of a campaign. Can’t wait until the Elections Commission starts asking these questions. Its sad that the Republicans can’t even field competant candidates for most elected positions in DE. That’s how you get 1 party rule. You need cross over candidates. No moderates, liberals, or democrats are going to vote for angry misinformed right wing theists preaching hjate paranoia and fear..
Isn’t the Western Sussex Republican Club the one that ran autodialer phone calls against Ernie Lopez in 2010?